Uhhhh….yeaaaa…. 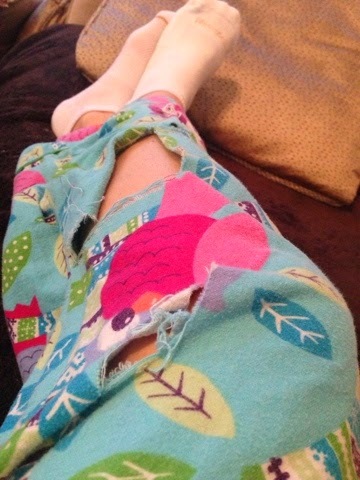 Wasnt expecting to have torn up ghetto pjs and underpants when I signed on for this whole puppy thing. She’s a Spanish Water dog. I get it. They’re herders. 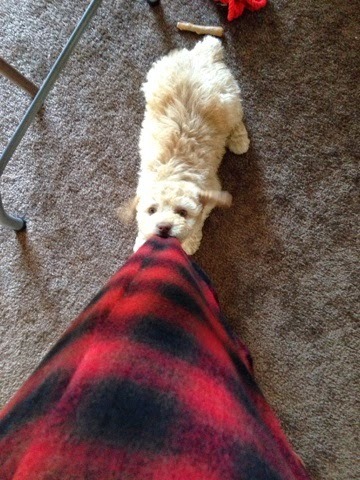 She is gonna nip at my ankles and pull at my pant leg. Never did I think I’d be walkin’ around with torn up pants. Cause you know what folks?? She don’t know the difference between my $10 Target pajama pants and my $100 Jcrew dress pants. Just sayin. Cute right? Not even a little. Why am I wearing them still you ask? Beats buying new ones that’ll end up in the same shape!! So, gone are the days of nice pajamas and Etta gets put in her kennel before I get dressed for work.